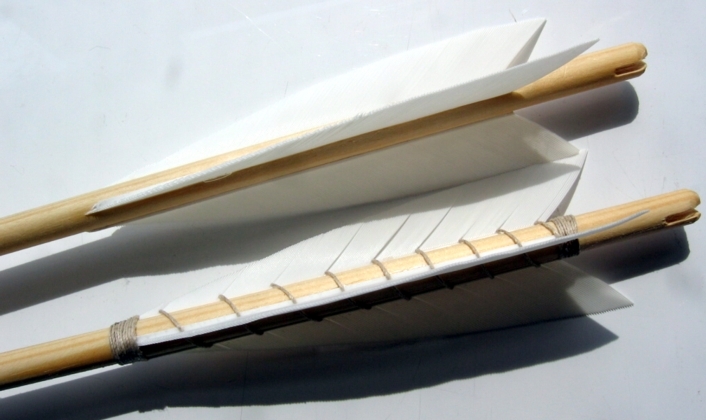 23/64 Boyton pine shaft approx 32" long, self cut nock, 3 fletches approx 5" long, affordable arrow for re-enactment use, available with binding (linen) or without, use drop down box to choose, bound arrows are £1 extra each. Sold singularly, choose how many arrows you want at check out. These arrows DO NOT have a head/point, they are left without so you can select and fit what you need.